You guys!!! 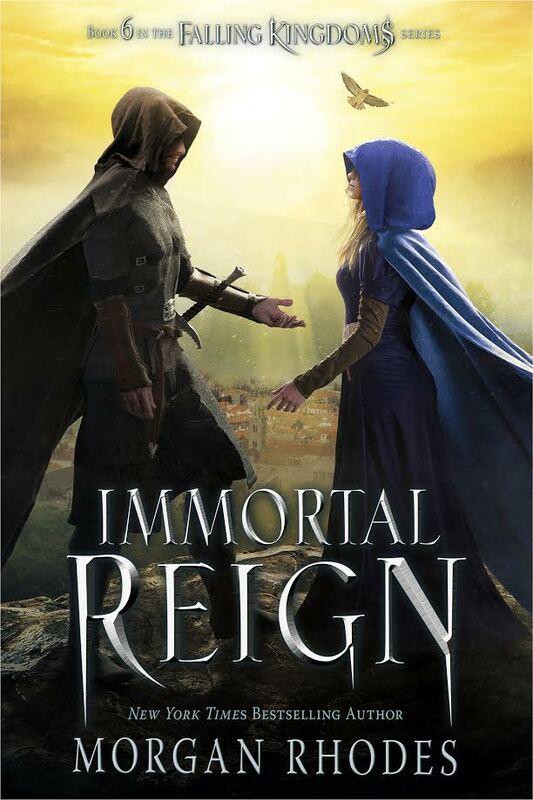 Check out the amazing cover of Immortal Reign—the sixth and FINAL book in the Falling Kingdoms series by New York Times bestselling author Morgan Rhodes! December 12th is the date to circle on our calendars! And if you’re new to the series and love fantasy adventures (like me) you can get started now with FALLING KINGDOMS. And best of all, I have an epic giveaway for you all! One of you can win Falling Kingdoms paperbacks 1 through 4, plus a hardcover of the latest release Crystal Storm! This is so so exciting, I can’t wait to read how the series ends … even though I wish it would go on forever :’) The cover is so beautiful ? Oh, Lord! The cover is so beautiful!! Thanks for the giveaway 🙂 Here are the links where I shared the post. I’m so excited for Immortal Reign! I’ve been waiting for the release so I can start the series and read them all at once. Thanks for the awesome giveaway! https://www.facebook.com/profile.php?id=100012181751428 This is where I posted the link. I also already Follow Morgan on twitter and followed you on instagram. 🙂 I can’t wait for the book to come out. Such a beautiful cover. This is awesome! So excited. So excited to read this book when it comes out! Magnus x Cleo forever!! Can’t wait to read the final book .? Love the cover! I really hope to catch up to this series this year! Check, check, and check! I am so excited for the new book and would love to have the complete collection on my shelf. I’m so excited for this book! I love this series so much! Followed you both.